Have you ever dreamed of living in a luxury home by the ocean in sunny Cabo San Lucas, Mexico? Well, if you have, Villa La Estancia Residences may have the answer. Here you can enjoy prime real estate on Cabo San Lucas’ charming Medano Beach. Villa La Estancia showcases a great variety of prime real estate including villas which are eligible for full and fractional ownership. These villas benefit from the 5 star amenities of the resort too. Villa La Estancia Residences benefit from a gorgeous location on Medano Beach, Cabo San Lucas where the waters are pristine and safe for bathing and water-sports alike. Why not try paddle-boarding, kayaking, or snorkelling in your home aways from home? These high-end properties overlook the famous El Arco landmark as well as the gorgeous ocean waves. They also have access to the unparalleled services which can be found at the Villa La Estancia hotel in Cabo San Lucas. Just picture it; the breathtaking sight as you arrive at your second home you can see Land’s End and the iconic El Arco rock formation. The sun is shining and you can hear the waves hitting the pristine sand. In your elegant hacienda-style vacation home you crack open a bottle of wine and watch the sunset; this is the five star living on offer at Villa La Estancia Cabo San Lucas Real Estate. Each of the 156 luxury-appointed villas found at the Villa La Estancia in Cabo San Lucas are available for full and fractional purchase, and they are truly phenomenal! Each villa has en-suite bedrooms, spa bathrooms, sophisticated lounge-diner space, expansive outdoor spaces and a fully equipped gourmet kitchen complete with a dishwasher and washer/dryer. These hacienda-style villas are prime Cabo San Lucas real estate. Prime real estate this may be, but the Villa La Estancia properties in Cabo San Lucas are more than just vacation homes in the sun. They offer a chance at property ownership partnered with all the benefits of staying in a 5 star hotel. 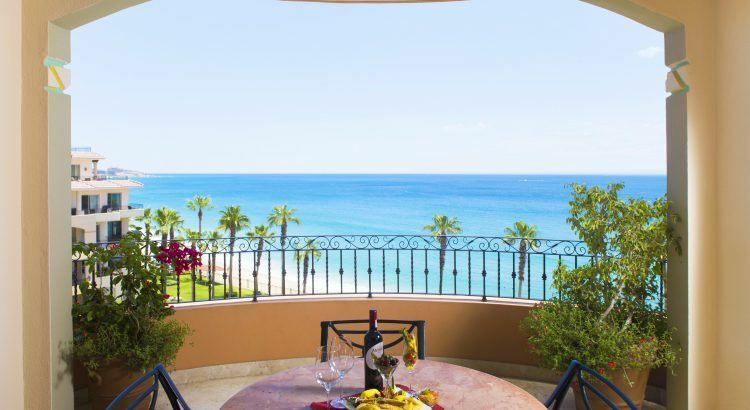 This includes access to onsite restaurants like La Casona and La Parilla, as well as the complimentary trolley service to take you to the sister resorts of Villa del Arco and Villa del Palmar where there are 5 more restaurants. There is also a great menu which you can take advantage of through room service if you feel like spending the day in bed relaxing.